Interested in volunteering for a clinical trial? What questions should I ask if I am selected to participate in a clinical trial? With many spinal cord clinical trials already underway in the U.S. and more to come over the next few years, there is an urgent need to build bridges among researchers and pave the way for accelerated progress. People who volunteer and participate in these studies are a critical part of the recent momentum. While it’s certainly exciting to see promising research advance to human trials, it is important to understand how clinical studies are conducted and what is expected of participants prior to signing up. To ensure you are prepared to volunteer as a research candidate, please review the below guidelines and information from the Reeve Foundation and our partners. The first step is to empower yourself with information about the field of spinal cord research. Get to know its origins and dive into the advancements being made today. The Reeve Foundation offers a wealth of literature on the evolution of spinal cord research as well as recent discoveries in the field. In today's wired world, there is a tremendous amount of information available about treatments, proven and unproven, for paralysis and other complications of a spinal cord injury. As a result, it is challenging to separate the wheat from the chaff. The Christopher & Dana Reeve Foundation was one of the founding members of the International Campaign for Cures of Spinal Cord Injury Paralysis (ICCP). We, along with our ICCP colleagues, believe the ICCP Guide for Experimental Treatments for Spinal Cord Injury is a crucial resource for people living with spinal cord injury, their families and their caregivers. We hope that readers will use the ICCP guide, and other resources provided below, to think critically about potential therapies for spinal cord injury and pose the questions that should be asked. Clinical trials often compare a new product or therapy with another that already exists to determine if the new one is as successful or better than the existing one. In some studies, participants may be assigned to receive a placebo (an inactive product that resembles the test product, but without its treatment value). Comparing a new product with a placebo can be the fastest and most reliable way to demonstrate the new product's therapeutic effectiveness. However, placebos are not used if a person would be put at risk by not having effective therapy. Potential participants are told if placebos will be used in the study before they enter a trial. Randomization is the process by which two or more alternative treatments are assigned to volunteers by chance rather than by choice. This is done to avoid any bias with researchers assigning volunteers to one group or another. The results of each treatment are compared at specific points during a trial. In single or double-blind studies, participants do not know which medicine is being used, so they can describe what happens without bias. "Blind" studies prevent members of the research team or study participants from influencing the results. This allows scientifically accurate conclusions. In single-blind studies, only the participant is not told what is being administered. In a double-blind study, neither participant nor members of the research team are not told who is getting which medication. This is so their observations will not be biased. 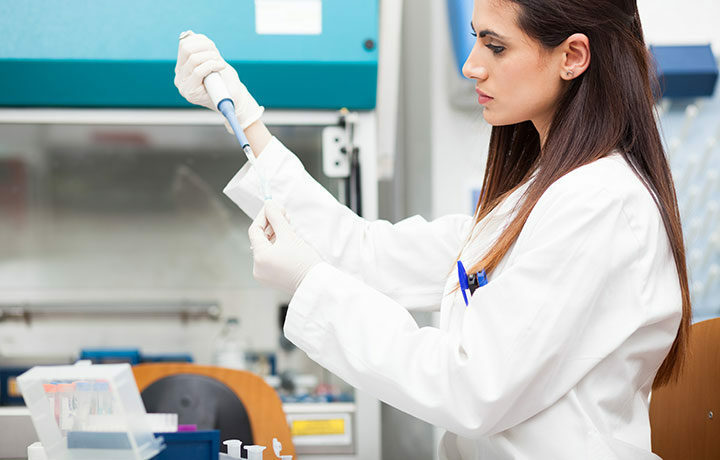 Before joining a clinical trial, a participant must qualify for the study. All clinical trials have inclusion/exclusion criteria, based on factors such as age, gender, the type and stage of a disease/injury, previous treatment history, and other medical conditions. The National Institutes of Health suggest that if you are offered a clinical trial, ask questions or bring up any issues concerning the trial at any time. Asking questions will arm you with information to feel confident and informed so that you are prepared for your role as a participant. The following suggestions may give you some ideas as you think about your own questions. Why do researchers think their approach may be effective? How are study results and safety of participants being checked? What will my responsibilities be if I participate? What are my short-term risks, such as side effects? What are my possible long-term risks? What kinds of therapies, procedures and/or tests will I undergo during the trial? Will I be able to take my regular medications while in the clinical trial? NIH Roadmap: Learn about the National Institutes of Health's "roadmap" for research in the 21st century. The site identifies major opportunities and gaps in biomedical research. You can also visit ClinicalTrials.gov for a complete list of all trials, searchable by condition, locale, sponsor, etc. Remember that becoming educated on the clinical trial process does not commit you to anything, but it will prepare you for when you are ready to volunteer.